Article: Rukavat Keliye Dhanyavad Hai! Biju Parameswaran relives memories of watching Doordarshan on television in the 1980s. ‘The Pakistan President General Zia-ul-Haq has been killed…’ Minu Talwar could hardly contain her glee as she broke the news on telly that night in August ’88. Nearly a quarter century on, one cannot quite forget the wonderful newswomen and men who lit up our living rooms in the ephemeral eighties when TV meant Doordarshan. I watched the national channel for a dozen years and some of my best mini-screen memories hark back to this period. Television came to Kerala, like in many parts of India, in ‘82 with the staging of the 9th Asian Games in New Delhi. Keltron was the popular brand. In ‘85 the Thiruvananthapuram centre at Kudappanakunnu started relay for a couple of hours in the evening before hooking up to Delhi. Interruptions were frequent and ‘Rukavat keliye khed hai’ almost became another tear-jerker serial. Looking back now, many of the ware on offer was qualitatively superior to what the gazillion channels today offer, even if glitzy packaging did not exist. 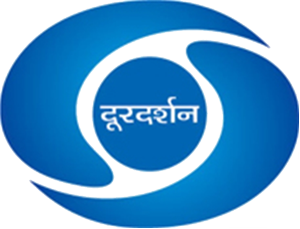 Doordarshan aired documentaries on India’s rural life, folk traditions and heritage. Siddhartha Kak’s Surabhi is shining proof. Advertisements were less intrusive, except perhaps for cricket matches. As for movies, where else can you expect to watch classics like G. Aravindan’s Chidambaram, Girsh Karnad’s Vamsa Vriksha or Gautam Ghosh’s Antarjali Yatra? My earliest recollections are of cricket. India disastrously toured Pakistan in ’82 for a series that spelt curtains for the career of the great G.R. Viswanath, also the brother-in-law of captain Sunil Gavaskar. Mohinder Amarnath was our lone resistance as the Pakis plundered runs and wickets at will and routed us 3-0. The first TV visual of the sport I took in was an academic looking Dilip Doshi feeding innocuous spinners to the insatiable pair of Zaheer Abbas and Javed Miandad. No stump vision and aerial camera in those days, no third umpire and UDRS, yet the excitement was palpable. Cricket in the subcontinent reached a feverish pitch after our unexpected World Cup win at Lord’s in ‘83. As a schoolboy I could not have asked for more reason to glue myself to the tube for all of India’s matches. My best TV moment came after that last ball of the India-Australia Madras Test in ’86 when commentator Fredun De Vitre went, ‘It’s a tie! Unbelievable!’ The ENT specialist Dr. Narottam Puri did yeoman service in developing an interest in all sports among young and old. His World of Sports, quizzes and commentary would have made his father Devraj Puri, ace cricket commentator of yore, proud. Narottam and wife Madhu once came and anchored a quiz at the Thiruvananthapuram YMCA. Wimbledon was an event never to be missed. The champions during the first half of the ‘80s were Connors, McEnroe and Lendl among men and manly Martina Navratilova and ice maiden Christ Evert among women. The ’85 final saw history being made as a 17 year old unseeded German came from nowhere to steal the thunder. The junior champion was older than him! Another German Steffi Graf stormed to the scene and pulled off a rare Gold Slam (Grand Slam and the Olympic gold medal) in ’88. The skimpy outfits of women players were why some armchair voyeurs stayed up late, ostensibly for the sake of the sport. Siddhartha Basu’s Quiz Time was packed with loads of interesting trivia, quite a contrast with today’s millionaire shows where a handful of questions take for ever to complete. A 17 year old economics student from St. Xavier’s Bombay in an early edition answered to the name of Rajdeep Sardesai. Son of Dilip Sardesai, the first Indian to score a Test double century against the West Indies, he later won the SAARC Quiz. After higher studies in Oxford, Prannoy Roy took him on board his NDTV from where he branched out to CNN-IBN. He married Sagarika, daughter of former Doordarshan Director-General Bhaskar Ghose. The team of my friend Ranjan Sreedharan, a Thiruvananthapuram Loyola school alumnus and his partner M.A. Anil Kumar who represented St. Thomas College, Trissur were the ones to put Kerala on the quizzing map of India. The duo finished national runners-up at Quiz Time. Newsreader Bhaskar Bhattacharjee who passed away untimely at 44, ran a Quiz on Sundays called Alpha Plus where the contestants had to display not only mental but also physical prowess. Prominent Quiz masters on DD Kerala were the English Professor Dr. Abraham Joseph, the late nutritionist Dr C.R. Soman and ANERT Director and later my Professor at Thiruvananthapuram Engineering College and author of our humanities’ textbook, Dr. R.V.G. Menon. The Cadbury Bournvita Quiz Contest was on AIR and had not started appearing on TV. Complementing these information explosion were science programmes anchored by UGC Chairman Yashpal in the afternoons and Mahesh Bhatt’s Turning Point. The first soap opera on DD was Hum Log which started in ’84 and ran 156 episodes. However the one that I saw in full was Buniyad, Manohar Shyam Joshi’s saga of a Punjabi family set during Partition and directed by Ramesh Sippy of Sholay fame. Aired twice every week, it ran for a full year. The title song starting ‘Kahin tho hai sapna/ Aur kahin yaad’ was my introduction to Anoop Jalota. The actors of that serial like Alok Nath, Anita Kanwar, Soni Razdan and Kanwaljit Singh went on to be regular character actors in Hindi movies. Nath’s stars rose with the coming of V.P. Singh to the political forefront, given his uncanny resemblance to the Rajah of Manda. Raag Darbari and Ganadevta are two other instances of meritorious literary works being adapted on screen. The Numero Uno in comedy was Yeh Jo Hai Zindagi featuring ‘79 Miss India Swaroop Sampath, Rakesh Bedi and the late Shafi Inamdar. Satish Shah of this sitcom went far as an actor in Hindi and Marathi. Ek Kahani and Katha Sagar brought us short story gems. 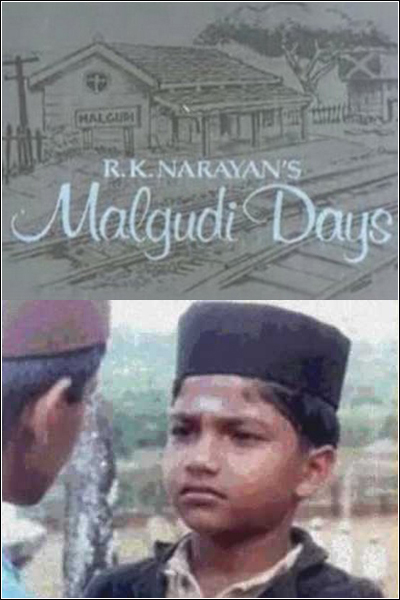 The late Shankar Nag’s Malgudi Days was one of the best serials of that era. Manjunath who played the hero Swaminathan endeared himself to the masses. Children enjoyed serials like Spiderman, Karamchand (Pankaj Kapur as a carrot-munching detective), Ek Do Teen Char and Vikram aur Vetal. Imported serials were Star Trek, Different Strokes, Mind Your Language, Agatha Christie’s Poirot, Yes Minister and Bodyline. Thiruvananthapuram DD ran He Man & The Masters of The Universe, Giant Robot, Lucy Show and Some Mothers Do Have Them. On Sundays housewives fought surrogate battles against corruption through ‘Rajni’ played by the late Priya Tendulkar, daughter of playwright Vijay Tendulkar. This was before a baby-faced Bandra boy with the same surname came to the fore wielding a cricket bat and hijacked our hearts forever. Mile Sur Mera Tumhara was an event that charms even today. It brought together the crème de la crème of Indian sports and arts under the umbrella of a six minute song of national integration. 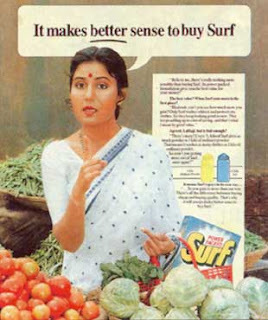 Other ads that caught our imagination include Kapil Dev toothily confirming that ‘Palmolive ka jawab nahin’, Dimple emerging from a pool all praise for her ‘Crowning Glory’, the Liril girl under the waterfall oozing oomph and freshness, ‘Tandurusti ki raksha karta hai Lifebuoy’ and the happy housewife bursting into ‘Hawkins ki seeti baji’. Kavita Choudhury’s Lalitaji exhorted us to Surf our clothes. Later she appeared as a cop in Udaan the story of which is said to be inspired by Kiran Bedi. Pan Parag Pan Masala found patrons in Shammi Kapoor and Ashok Kumar. Images of Sangeeta Bijlani as the bride in Vicco Turmeric Ayurvedic cream in the days before she became Mrs. Azharuddin, Asrani shopping for Ram, err…Sylvania Laxman, ‘zing thing’ Gold Spot, Maggi 2 minute noodles and ‘sabki pasand’ Nirma with the twirling girl in frock (Nirupama, daughter of Nirma founder Karsanbhai Patel, she died young in a car accident) refuse to fade from memory. Thanks to lack of news visuals one saw the newscasters’ faces for most of the bulletin and they seemed like acquaintances. Each had an individual style. One was curious about what other jobs they held. Ramu Damodaran who seldom looked at the script even before the prompter came into vogue, was the son of diplomat A.K. Damodaran. Ramu went on to become P.S. to Prime Minister Narasimha Rao. Tejeshwar Singh of the baritone, now no more, ran a publishing firm called Sage. Githanjali Iyer worked at the Taj Hotel. Usha Albuquerque was a successful career counsellor. There were Malayali women in the senior Neethi Ravindran and Rini Simon nee Khanna who at 22 was reading news at both DD and AIR. Husky-voiced Komal G.B. Singh read the news on the digi-prompter first. Dolly Thakore once came and showed a funny face as a news visual quickly got over and that was the last time I saw her reading news anywhere. DD had the perfect newscaster on the night of Indira Gandhi’s assassination in Salma Sultan, ethereal beauty who wore a rose on her hair and a morose look on her face. Amidst men in ‘tops’, Pankaj Mohan boldly flaunted a bald pate. Thin Sunit Tandon, active in Delhi theatre, read news too briskly to be enjoyable. Equally lightning quick was Sasikumar Menon, BBC import and Kerala’s pride. Son-in-law of renowned Malayalam poet-lyricist-director P. Bhaskaran, Sasikumar was to found Kerala’s first private TV channel Asianet in ’94. Today it is a media leader in the country with worldwide offices and viewership in the tens of millions. The ruling parties subtly used DD as a propaganda vehicle. In the second half of the ‘80s we were inundated with images of Prime Minister Rajiv Gandhi’s cherubic face telling us, ‘hamein yeh banana hai, hamein woh banana hai’, making me wonder if ours isn’t a banana republic! The first Malayalam news reader was G.R. Kannan. Hemalatha who later became his wife was a long-serving reader. Among other readers, Rajeswari Mohan was prominent in AIR as a presenter and producer while Dr. Santhosh was a notable marine geologist. Chitrahaar, Chitrageetham and Thiraimalar provided the weekly fix of Hindi, Malayalam and Tamil film music respectively. The slot for Malayalam film was Sunday evening, for Hindi Saturday evening and Tamil second Saturday mornings. The Sunday afternoon regional language film provided a cultural voyage into the of psyche of the country from the comfort of the couch. The late night retrospectives – Raj Kapoor and Ritwick Ghatak come to mind – took film appreciation to a broader level. International festival films with steamier scenes slotted for a safe 11.30 PM had adolescents like me burning the midnight oil. ‘Thappum Thudiyum’ from Thiruvananthapuram showcased tribal culture but drew flak from impatient viewers thirsty for fast-paced entertainment. Mesdames Sheela Rajagopalan, Kala and Indu of the mole lit our evening lamps even as angels in the form of Jyotsana Rai, Sadhna and Mukta Srivastava floated down by nightfall. Dinner guests were the dookandar and sharabi of Nukkad or the suffering Wagle in his duniya if not the flamboyant US returnee ‘Mr. Yogi’ Mohan Gokhale and the Sindhi ‘air hostess’ Kitu Gidwani. Kitu’s father and aviation official Bhagwan S. Gidwani wrote the book that became the eponymous serial by Feroze Khan, The Sword of Tipu Sultan. Popular artists Preeti Sagar, Peenaz Masani, Usha Uthup, Gurdas Mann, Talat Aziz and Sharon Prabhakar dominated DD’s New Year specials. 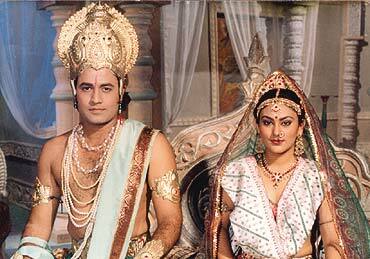 The ‘80s were topped off by long running serials on Indian mythological epics. Paranthu quality took a nosedive. If B.R. Chopra’s Mahabharatha, for which eminent poet Rahi Masoom Raza wrote the script, was slightly better, Ramanand Sagar’s Ramayan was terribly tasteless. Bhaskar Ghose, a Bengal IAS man who Rajiv Gandhi handpicked for the job of Director-General, writes in his memoirs Doordarshan Days of the efforts he took to keep Sagar at bay. But the wily film maker pulled many political strings and sneaked in with his third rate tripe. The serial was a smash hit. Watching these soaps literally became a religious act for millions, particularly in the northern cow belt. A party piggy-backed on this mind-blowing hype, as its leader embarked on a ‘rath yatra’ of the country soon after and rode to power at the centre before the decade was out. Submerged in this epic tsunami was a painstaking effort by the eminent film maker Shyam Benegal. His 52 part Bharat Ek Khoj based on Nehru’s Discovery of India attempted to cover 5000 years of Indian history. A telefilm worth its weight in gold was Govind Nihalini’s adaptation of Bisham Sahni’s Tamas set during Partition. Prannoy Roy, an economist who popularized a new science called psephology, was an education in level-headed, sensible talk. His Man Friday Vinod Dua handled the vernacular side of the discussions. Roy’s weekly round up on Friday nights, The World This Week, was eminently watchable. He later established New Delhi Television (NDTV) along with wife Radhika, who is the sister of CPM Politburo member Brinda Karat. Appan Menon was an able lieutenant of his. I found Deepak Vohra and his puppet in the mornings a terrible yawn, was put off from all Malayalam serials by Madhu Mohan’s one-man-show and pitied Hindi actors playing Kuttanad characters mouthing the gosai tongue in M.S. Sathyu’s adaptation of Thakazhi’s Kayar. In the ‘90s the skies opened out. Cable TV flooded the country with hundreds of channels and viewer tastes changed dramatically. Mega serials told stories of adulterous aunties caught in corporate cockfights. Shobhaa De’s Swabhimaan represented this trend on the mini screen. Shah Rukh Khan, the perky lad of Circus, Fauji and Dil Dariya serials graduated to the bigger screen and established himself as its biggest star in the land. Doordarshan, the fertile ground where many a talent had cut its creative teeth, found itself up against aggressive competitors. Prasar Bharati Bill enacted into Law gave autonomy to the Mandarins of Mandi House before long. Those salad years of Doordarshan are a ‘door ka’ memory now, but one that I wouldn’t part with for all the tea in China! This entry was posted in Film, Life, Literary, Media, Music, Personalities in news, TV and tagged Buniyad, dd Thiruvananthapuram, dd trivandrum, doodarshan kendra thiruvananthapuram, doodarshan kendra trivandrum, doordarshan, Dr. Narottam Puri, Girsh Karnad, Hum Log, Indian TV channels, Kudappanakunnu, malgudi days, Minu Talwar, ndtv, Siddhartha Basu, Siddhartha Kak, surabhi, Thiruvananthapuram, Trivandrum, Trivandrum media, Yeh Jo Hai Zindagi. Bookmark the permalink. 9 Responses to Article: Rukavat Keliye Dhanyavad Hai! wonderful. 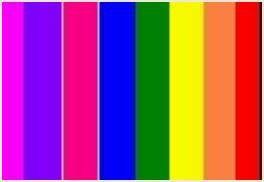 It really revives memories of Doordarshan in 1980. Ok. but it is quite unlikely that Biju in 80’s watched the TV. Though Doordarshan Delhi was Onn, /Black 7 White, in Trivandrum, it was not Dd; but keltron, started Colourful transmissions of some Mal, films on experimental basis; from a Tower at Vazhuthacaud, Tagore Theatre.., This led to jealously at DD etc.,& it was made to stop (though by then keltron bagged manybody’s Cash, on “Monthly instalments; with Promise to install a TV set at their homes, as soon as DD, transmission gets full swing. !…& eloped)*. When DD, TVm, started, max of 1 hr. news 7 clips; makes the Venjarammoodu Comedian to “laugh to beltch Out”.Instead of VIBGYOUR parallel, lines, it was Only Thick 7 thinkn (B&W) lines with a whistle on the TV Sets then. The Credit should go to IG (Indira Gandhi; made Revolution with Colour transmissions, with the 1st Asian Games, later in 80’s. , IG’s personality is ‘non_Comparare’ pazr excellence! even Sophia Loren would have been put to shame! Then where is Ruksana (sad story).,>>> to Sasikumar; founder of Asianet!. No matter how glossy today’s television shows are, I really miss all that we saw and waited to see on good old Doordarshan . Yes, almost everything! The good ol’ Doordarshan was the best. Man! Your article took me through some wild childhood memories. 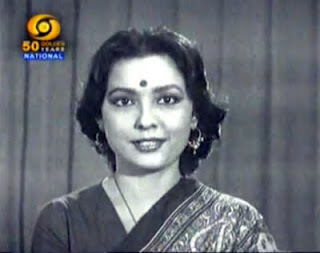 See http://ddnational.blogspot.com where one can find videos from the bygone doordarshan era. Very insightful and charming article. I was taken down memory lane and it was a very pleasant heart warming experience. Kudos to Biju for this fascinating article! So nostalgic…starting from the title – i miss ‘rukawat ke liye khed hai’!! Superb, Biju. i remember many of them. in order to reply in detail, i have to read repeatedly. now i just went thru’ it. HemaMalini’s one pgm , emphasising Dance -“Noopur” was there. Similarly, there were many good Mallu serials like “Maranam Durbalam” ( not sure abt the name..), Friday evening 7-7.30- a serial on a tribal girl ( devi or so..). the first TV serial i watched when TV was bought in my house in 1988 was “Jeevan rekha” of Amritha Preetham. i enjoyed “Muzrim Hazir Hai”. but in 2009 also, there was agood serial in Sun TV by Cho . Ramaswamy ” Enke Brahmanan?” ( means where is the Brahmin?”) which deeply dive into the meaning of spiritual quest..Mahabharatha was grand. Needless to say abt “Bharath Ek Khoj..”- i liked the title song of many of these. It is the first time I read full article like this which rewinds my childhood days. Wonderful memories…!! !